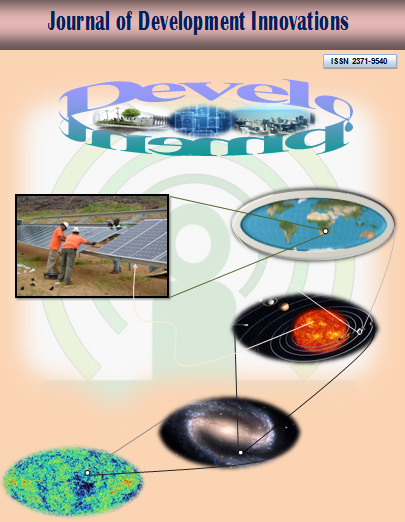 The Journal of Development Innovations (JDI) is a double blind peer-reviewed international journal dedicated to promote innovative and creative ideas in the field of economic development and growth. The journal accepts articles from any field that relates to economic development and growth, spanning, for example, from environment and climate change to science and engineering. The journal is published online twice in a year by KarmaQuest International. The KarmaQuest International conducts research in its Innovation Lab whereas it applies the innovative ideas on the ground through its Impact Lab. Journal of Development Innovations is published under its Innovation Lab. Authors are requested to submit their innovative contributions so we can impact the world together in a positive way. Do Female Education and Ownership of Asset Matter for Poverty Reduction in Nepal?